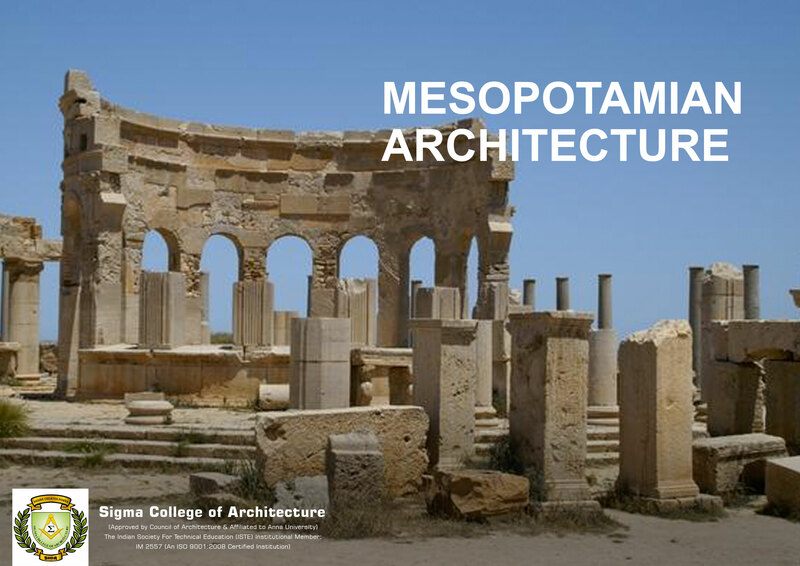 The period of the beginnings of monumental Architecture in Mesopotamia are usually considered to be synonym with the founding of the Sumerian cities and the invention of writing. During that period there was an immense lack of timber and stone and therefore most buildings in Mesopotamia were made from mud bricks held together with plaited layers of reeds. The most readily available materials were sand and clay and reeds from marshes they also had bricks that had been fire-baked which deteriorated relatively quickly and consequently very little of the ancient cities remain except for some foundations of buildings and palaces. The famous of the construction will be the one temple, at Ab? Shahrayn (ancient Eridu), that is no more than a final rebuilding of a shrine the original foundation of which dates back to the beginning of the 4th millennium.